Cervical cancer is almost entirely preventable. The Cervical Screening Initiatives Program aims to improve participation in screening for women in Newfoundland and Labrador. This is achieved through the development of a comprehensive organized cervical screening program in partnership with regional health authorities, community organizations, health professionals and individuals. Cervical screening is offered by front-line health-care providers across the province including family physicians, general practitioners, regional nurses, nurse practitioners and registered nurses. Infection with certain types of human papilloma virus (HPV), acquired through sexual contact causes nearly all types of cervical cancer. The introduction of the HPV vaccine in 2007 will reduce the development of cervical cancer in the long-term. In the meantime, cervical screening (the Pap test) can find early cell changes, before cancer develops, when treatments are available and most likely to be successful. A risk factor is any condition that makes a person more likely to develop a certain disease like cancer. Some risk factors such as diet can be changed while others, like age, cannot. One of the biggest risk factors for developing cervical cancer is NOT having a regular Pap test. HPV vaccine for women and men between the ages of 9 and 26. Sexually active women should start Pap testing at age 21, unless your health-care provider tells you otherwise. If all results are normal, have a Pap test every three years. Women with abnormal Pap history should continue with yearly Pap testing, or as recommended by their health-care provider. A Pap test is a simple test that removes a small sample of cells from the surface of the cervix. The cells are examined to see if they look normal. The Pap test can find abnormal changes in cells early, before cancer develops. Read more frequently asked questions. A routine Pap test (screening test) can find cell changes at an early stage. A routine Pap test can find most cell changes but no screening test is perfect; repeat tests ensure accuracy. Learn more. Approximately one in ten women may have an abnormal result. If your Pap test is abnormal, it does not mean you have cancer. A doctor or nurse should follow every woman with an abnormal Pap result. Be sure to keep all follow-up appointments; if you are overdue for a follow-up appointment, you may receive a letter from the Cervical Screening Program to remind you to see your doctor. I am under 21 years of age, why don’t I get a Pap test? 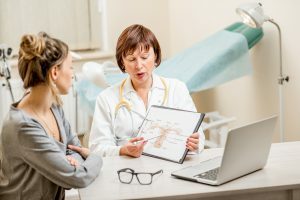 Do I need a Pap test if I have had a hysterectomy (womb removed)? Should I still be screened after 70 years of age? How do I get my Pap test results? Is the human papilloma virus (HPV) test available? If I have had the HPV vaccine, do I need to have a Pap test? I got a letter from the Cervical Screening Initiatives Program, what does that mean? How does smoking increase my risk of cervical cancer? 1. What is cervical cancer? Cervical cancer develops in the neck of the uterus or womb. It is caused by persistent infection with the common virus called human papilloma virus(HPV). Most women will come into contact with HPV in their lifetime. For some women the infection will resolve, for others the infection persists and the cells of the cervix begin to change. Changes in the cervical cells can be found with routine Pap tests. Most cell changes will be benign or pre-cancer, but some women will develop cervical cancer. 2. Where can I get a Pap test? Your health-care provider will provide routine Pap tests. If you do not have a regular health-care provider, there are many clinics across the province that will see women for Pap testing. Please see the section: How to get a cervical screening Pap test. 3. I am under 21 years of age, why don’t I get a Pap test? Cervical Screening is not recommended for young women under 21 years of age. The Canadian Task Force on Preventive Health Care clearly identifies that young women do not benefit from screening. Persistent HPV infection causes almost all cervical cancers. Most HPV infections will clear over time and not progress to cancer. Screening before the age of 21 will simply pick up HPV related cell changes that will resolve over time. There are no treatments for HPV. 4. Do I need a Pap test if I have had a hysterectomy (womb removed)? Women who have had a hysterectomy need to discuss their screening status with their regular health-care provider. If the hysterectomy was for benign reasons (not cancer) and the cervix was removed, screening is no longer needed. If the women had a hysterectomy for a cancer diagnosis, screening continues every year. If the woman had a sub total hysterectomy for benign reasons and the cervix remains, routine screening continues. 5. Should I still be screened after 70 years of age? 6. How do I get my Pap results? Your health-care provider will discuss the best method of getting your results. Some health-care providers will call, send letters or recall you to notify you of your results. It is important that women with abnormal Pap test results have follow up care. 7. Is the human papilloma virus (HPV) test available? HPV tests are used in screening women over 30 years of age with a mild abnormal Pap test called atypical squamous cells of undetermined significance (ASCUS). The HPV test is done in the lab on the specimen already collected. Your result will be included in the Pap test report. Women with negative HPV results return to routine screening. Women with positive HPV results are referred to a gynecologist for further assessment. 8. If I have had the HPV vaccine, do I need to have a Pap test? Yes, there are many cervical cell changes that occur that may not related to HPV but require monitoring and treatment. Even if you have had the HPV vaccine, you still need regular Pap tests. 9. I got a letter from the Cervical Screening Initiatives Program, what does that mean? The provincial cervical screening program follows every Pap test for every woman to assist in identifying opportunities for women who are overdue for follow up care. Letters may be sent to your health-care provider or directly to you to remind you to follow up an abnormal Pap test or to invite you to return for routine screening. 10. How does smoking increase my risk of cervical cancer? Cigarette smoke contains many cancer-causing substances, or carcinogens. They affect many parts of the body. Researchers have found by-products of cigarette smoke in cells lining the cervix in women who smoke. They believe that these harmful substances may damage the cells and allow an HPV infection to stay in the body. The longer you smoke and the more cigarettes you smoke each day, the more your risk increases.